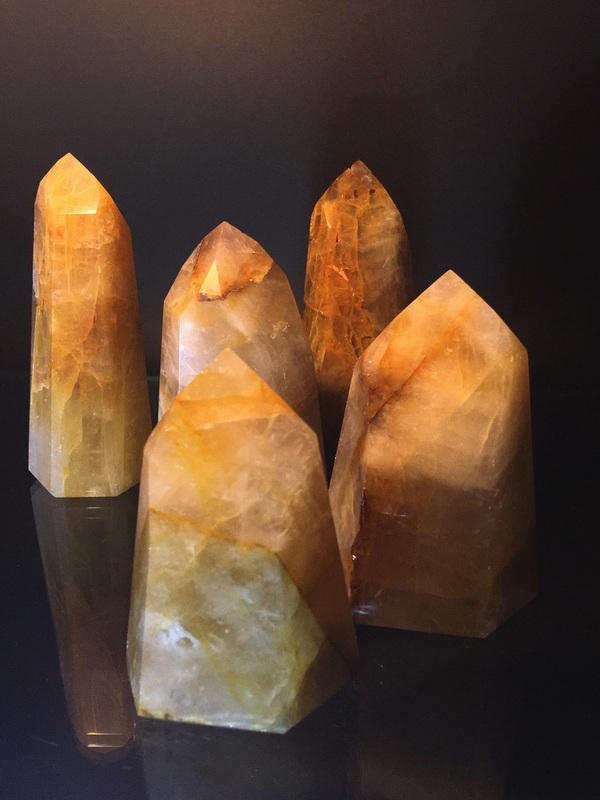 Quartz infused with iron oxide that produces a natural yellows to dark browns through the crystal. Due to the unique beauty of natural crystals, individual items will vary form the photograph. Approximate dimensions vary from 70mm to 80mm in height and 40mm to 50mm hexagonal base. Please note that a limited supply of larger Golden Healers Generators is available up to ~120mm in height on request.